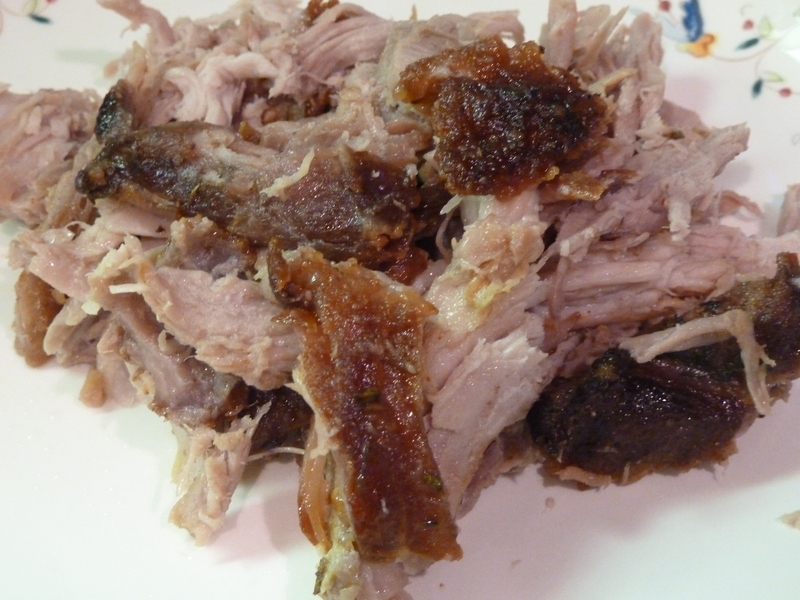 slow-roasted pork shoulder | Is there any wine left? 1. Its impressive to make a big pork shoulder and have it fall apart perfectly. 2. Its practically impossible to screw it up. 3. Its delicious. Really, really delicious. The pork has a a great depth of flavor and the crispy exterior creates a really nice contrast to the melt-in-your-mouth interior. 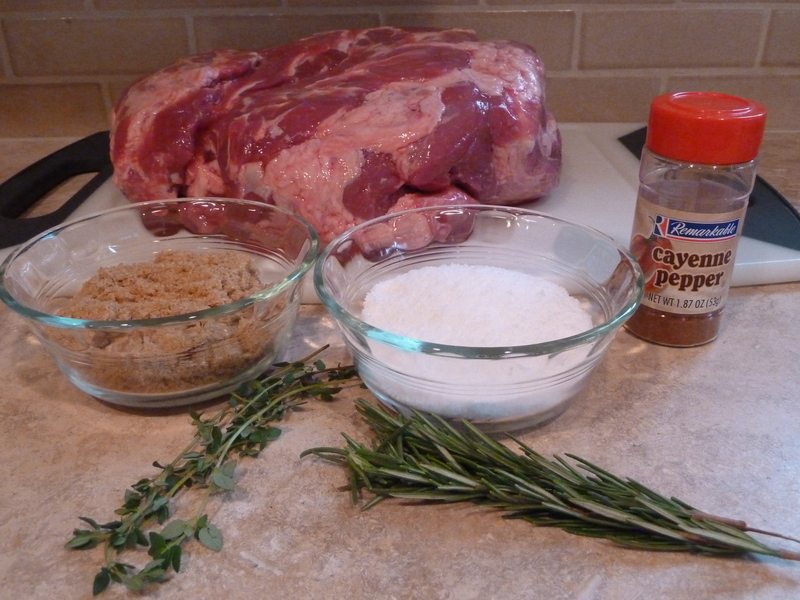 In a small bowl, combine the salt, brown sugar, thyme, rosemary and cayenne. 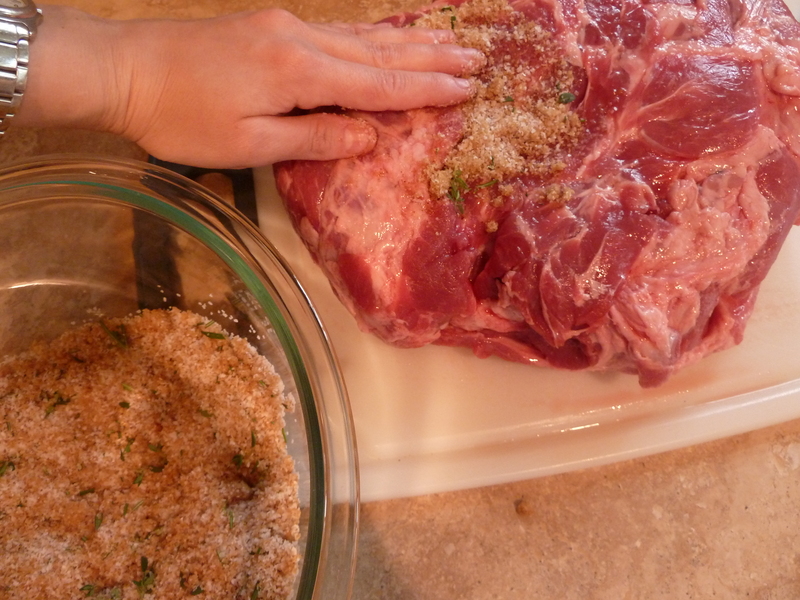 Pat the rub all over the pork shoulder and let it sit for an hour. 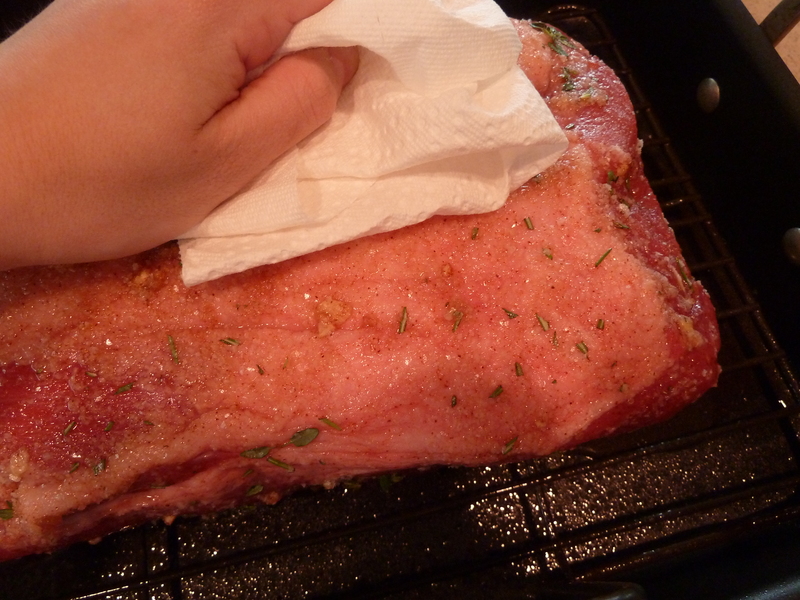 After an hour, use paper towels to remove as much of the rub as possible. Place the pork shoulder in a roasting pan. Fill the bottom of the roasting pan with an inch of water and place in the oven at 425 degrees F for 45 minutes. The high heat will give it a crispy exterior and seal in the juices. After 45 minutes, lower the oven temperature to 225 degrees F and cook for 7 hours. 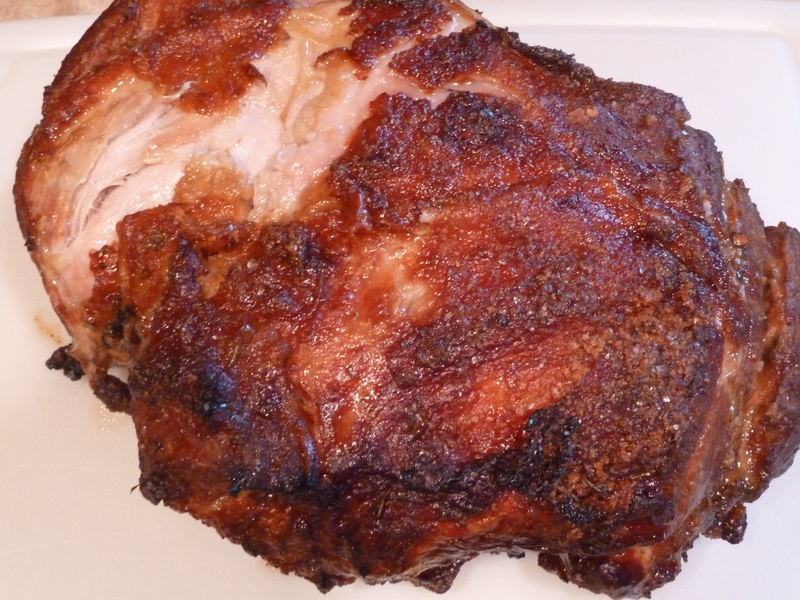 Remove the pork shoulder from the oven and tent with aluminum foil for 20 minutes. When you are ready to shred the pork, grab two forks and pull the meat off of the bone. It will fall apart easily and smell so good you’ll consider rubbing it behind your ears and on your wrists. After 45 minutes, lower the oven temperature to 225 degrees F and cook for 7 hours. 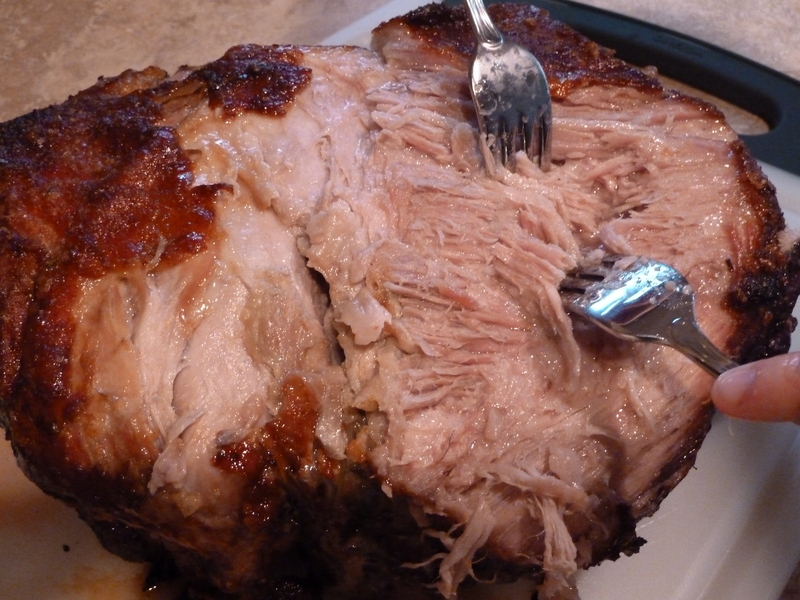 Remove the pork shoulder from the oven and tent with aluminum foil for 20 minutes. When you are ready to shred the pork, grab two forks and pull the meat off of the bone. It should fall apart easily. Katie, this recipe looks AMAZING and I can’t wait to try it! Do you cover this roast at all while it is in the oven? Have you ever left the rub in the pan after removing it from the roast? I hate to lose all that flavor by just discarding it. Thanks!